Published March 31, 2017 at 640 × 466 in 5) Desert Energy_640x466. Desert Energy 36x48 This is an interesting combination between the desert and the movement of the lines, which flow like water beautifully. 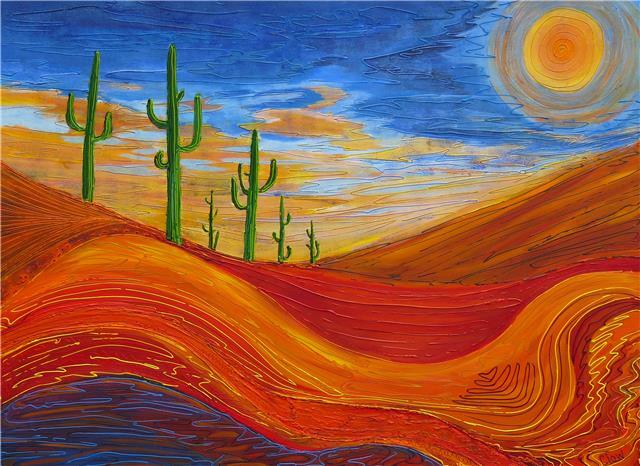 The energy of the desert and the rich hot colours stimulate the senses. The green cactus gives it depth and coolness.